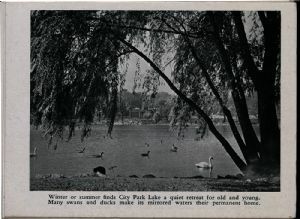 Winter or summer finds City Park Lake a quiet retreat for old and young. Many swans and ducks make its mirrored waters their permanent home. Hagerstown (Md. ), History, Pictorial works.